HBO has televised over 1,100 bouts in the past 45 years, but for the first time ever, a female will headline a telecast for the cable giant. 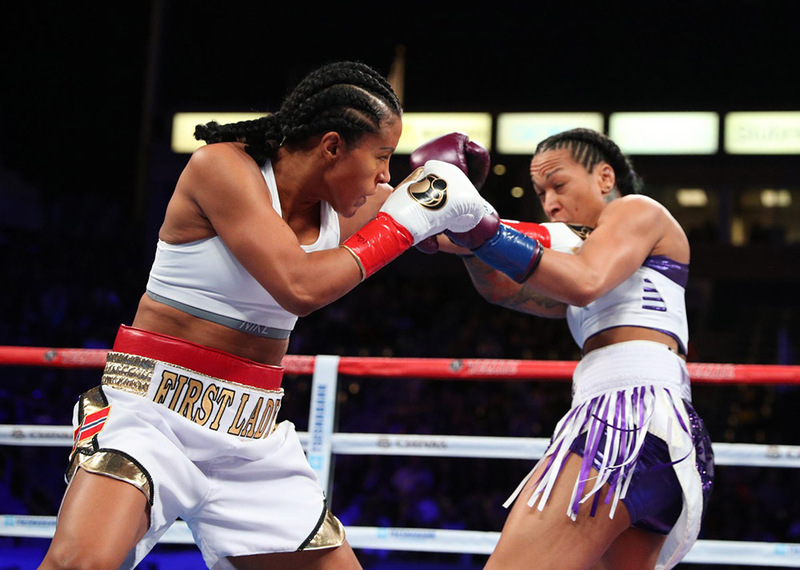 Norway’s Cecilia Braekhus (34-0, 9 knockouts) will defend her IBF, WBA, WBC and WBO welterweight titles against Aleksandra Magdziak-Lopes in the main event of a “Boxing After Dark” broadcast at the StubHub Center in Carson, California, on December 8. 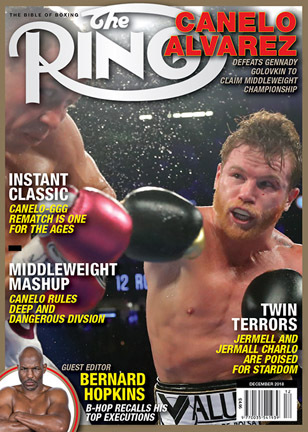 Widely regarded as the best female boxer in the world, The Ring awarded her its first-ever No. 1 pound-for-pound female fighter belt in September on the four-year anniversary of when Breakhus first unified the division by defeating Ivana Habazin. 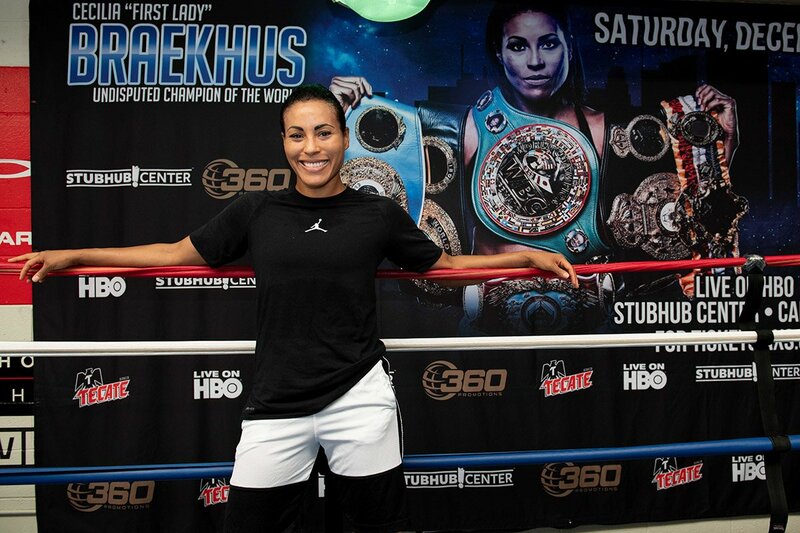 It was also at the StubHub Center back in May where Braekhus started to make history as the first female boxer to ever appear on an HBO broadcast when she defeated Kali Reis on the Gennady Golovkin-Vanes Martirosyan card. That bout drew an average of more than 900,000 viewers and peaked over a million. While Breakhus won a unanimous decision that night, she was dropped in the seventh by a hard right hand from Reis, who came down from 154 pounds to face Braekhus. 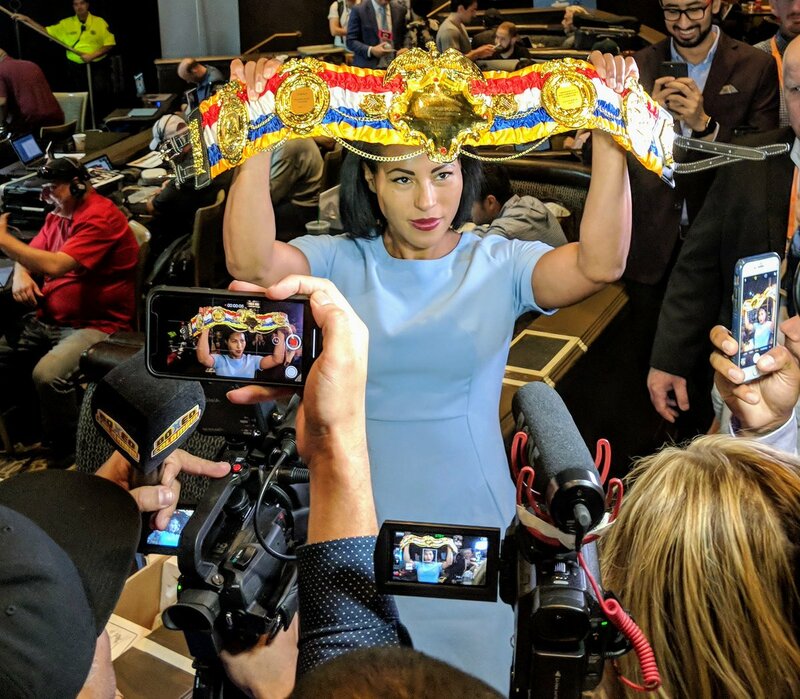 While the stakes this time around are significantly higher, Braekhus said the difference in training camps will ensure no setbacks will occur against Lopes, who, similar to Reis, is coming down in weight to challenge for the 147-pound championship. At 37 years old, Braekhus has fought all over the world, including in front of 20,000 fans on the Aleksandr Usyk-Murat Gassiev undercard in Russia when she handily defeated Inna Sagaydakovskaya. One possible future matchup may include a date with UFC star Cris Cyborg, who has watched Braekhus fight from ringside wearing a “Cyborg vs. Braekhus 2019” shirt. Cyborg has sparred with top current female boxers, including two-time Olympic gold medalist and middleweight/super middleweight world champion Claressa Shields. In the event Cyborg is too busy while training actress Halle Berry for her role in the upcoming John Wick 3 movie, Shields might be willing to battle Braekhus for supremacy in the women’s ranks if both fighters want to meet at 154. Braekhus believes boxing has a golden opportunity to grow with the current crop of female boxers who are making a name for themselves in the sport.